During the 1990s Rio de Janeiro earned the epithet of ‘divided city', an image underscored by the contrast between its upper-class buildings and nearby hillside ‘favelas.’ The city’s cultural production, however, has been shaped by porous boundaries and multi-ethnic encounters. 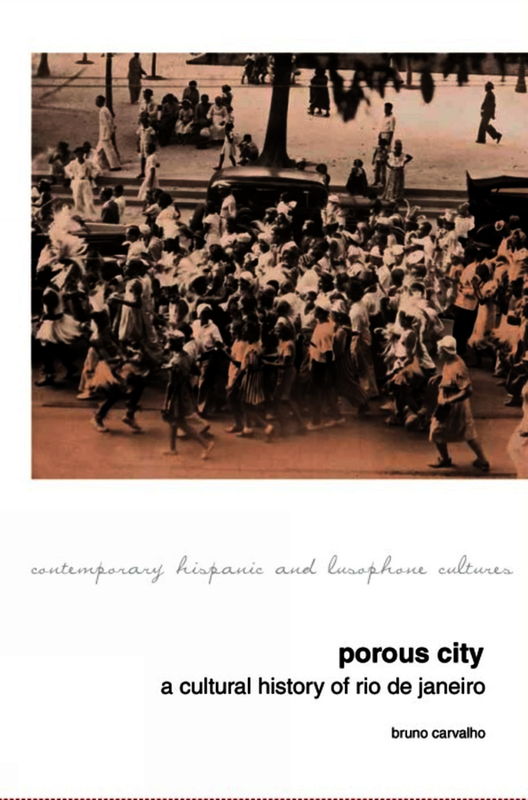 Drawing on a broad range of historical, theoretical and literary sources, Porous City generates new ways of understanding Rio’s past, its role in the making of Brazilian culture, and its significance to key global debates about modernity and urban practices. This book offers an original perspective on Rio de Janeiro that focuses on the New City, one of the most compelling spaces in the history of modern cities. Once known as both a ‘Little Africa’ and as a ‘Jewish Neighborhood,’ the New City was an important reference for prominent writers, artists, pioneering social scientists and foreign visitors (from Christian missionaries to Orson Welles). It played a crucial role in foundational narratives of Brazil as ‘the country of carnival’ and as a ‘racial democracy.’ Going back to the neighborhood’s creation by royal decree in 1811, this study sheds light on how initially marginalized practices –like samba music– became emblematic of national identity. A critical crossroads of Rio, the New City was largely razed for the construction of a monumental avenue during World War II. Popular musicians protested, but ‘progress’ in the automobile age had a price. The area is now being rediscovered due to developments spurred by the 2016 Olympics. At another moment of transition, Porous City revisits this fascinating metropolis. Bruno Carvalho is Assistant Professor of Spanish and Portuguese Languages and Cultures and George H. and Mildred F. Whitfield University Preceptor in the Humanities at Princeton University.